If your perception of a brand is the sum of all your experiences with it, then each interaction has to be a great experience. Working in close collaboration with our client to change the way digital experiences are designed by Vodafone – as a foundation for more meaningful customer relationships. Our first step was to define the unique qualities of the Vodafone character – as a strong digital identity and overall tone-of-voice. 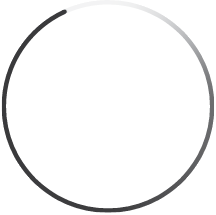 This ‘essence’ was then utilized in the design process, to create more emotionally engaging digital experiences. For a global brand to adopt design as part of its growth strategy, a critical part of the process was interaction with key national markets. Through a series of stakeholder workshops with senior staff we refined the key messages of our design strategy and aligned them with the specific aims and challenges of these critical regions. Working in close collaboration with our client to change the way digital experiences are designed by Vodafone – as a foundation for more meaningful customer relationships. Our first step was to define the unique qualities of the Vodafone character as a strong digital identity and overall tone-of-voice - that can be utilized in the design process, creating more emotionally engaging digital experiences. For a global brand to adopt design as part of its growth strategy, a critical part of the process was interaction with key national markets. Through a series of stakeholder workshops with senior staff we refined the key messages and aligned them with the specific aims and challenges of these critical regions. The CX Design DNA is built around the same successful core values as its UX counterpart - demonstrating how Vodafone should actively engage in a positive dialogue with its customers at every touchpoint; building greater loyalty and advocacy through the creation of real, inclusive and empowering experiences. The tool was built through a process that incorporated workshops with global Customer Service teams and implemented within a digital framework that included the production of an incredibly impactful spirit film – capturing the emotive essence of the DNA. 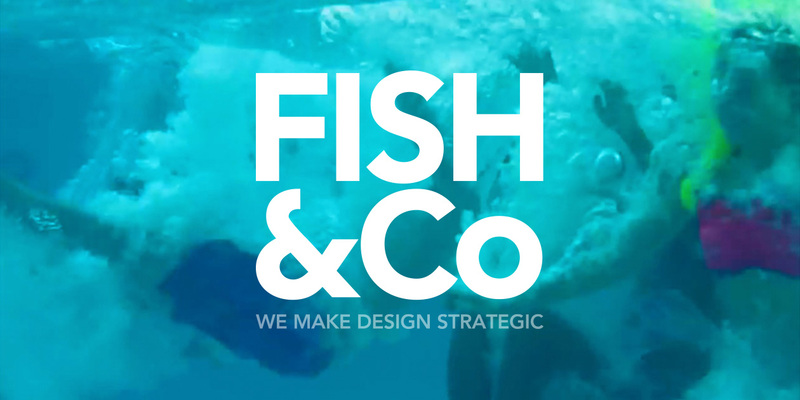 Selecting Fish&Co as our lead consultancy to develop a wide range of design initiatives for Vodafone was easy. They are inquisitive, intuitive, insightful, innovative and inspiring. We have successfully built the consumer-lab proposition for Vodafone’s innovation business unit. This is a brand framework to communicate consistent messages to its audience and its collaborators – and demonstrate the key components of its innovation process. Ultimately design’s impact and ability to differentiate is the consequence of having a clearly defined attitudinal design target. Understanding this audience provides the context that connects brand promise to the design of tangible experiences. The best way to bring this attitude to life was by capturing the ‘spirit’ in video narratives, which connected people’s relationship with technology – to real-life experiences. Ultimately design’s impact and ability to differentiate is the consequence of having a clearly defined attitudinal design target. Understanding this audience provides the context that connects brand promise to the design of tangible experiences. The best way to bring this attitude to life was by capturing the ‘spirit’ in video narratives, which connected people’s relationship with technology to real-life experiences. 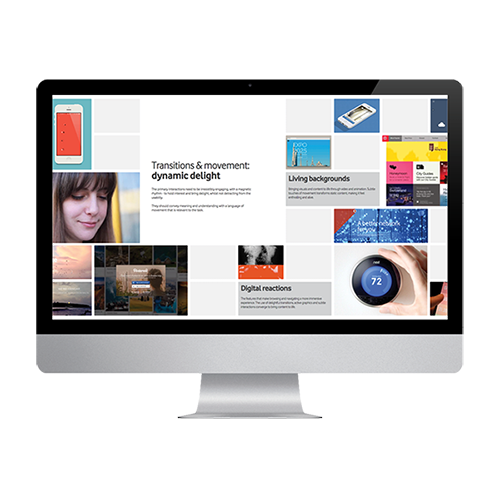 The core strategic framework was built as a web tool and brought to life by incorporating best-in-class case studies and ‘spirit’ videos demonstrating the core values of Vodafone’s digital design philosophy. However the key demonstration of our thinking was the creation a concept website presenting a compelling consumer journey through Vodafone’s consumer services and online retail. 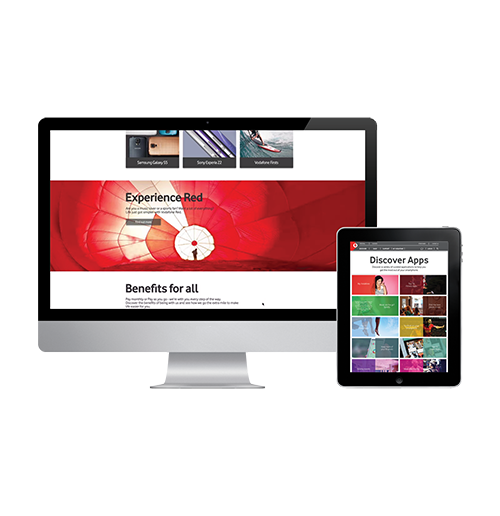 The core strategic framework was built as a web tool and brought to life by incorporating best-in-class case studies and ‘spirit’ videos demonstrating the core values of Vodafone’s digital design philosophy. However the key demonstration of our thinking was the creation a concept website presenting a compelling consumer journey through Vodafone’s consumer services and online retail experience. We see beyond the obvious to gain fresh perspectives from which to discover new insights; to adapt emerging technologies and unmet needs into more relevant, and meaningful design solutions. Having built the Design DNA for this Japan-based global sportswear company - we've created a strong foundation for exploring much more focused new-category growth opportunities and advanced concepts. Our role has been to challenge internal design and marketing teams with new consumer insights and provide the strategic impetus for a wide range of design projects. As part of its growth strategy, we have produced the brand identity, supported their product roadmap strategy - and are in the process of designing and developing the next generation of products for this specialist body-worn camera company. Our relationship with this global consumer technology brand goes back many years. During this time we have developed a series of advanced concepts and design-vision projects - collaborating to discover what might come next for TV, mobile and appliance categories. We have worked with our friends at Applied for many years. They are the world's leading experts in wayfinding design and we're proud to have contributed early-stage strategy and product design support on a range of projects - from Legible London (shown here), to making sense of complex retail environments. An ongoing consultancy relationship with the most iconic appliance brand in the UK. We work in close collaboration with senior management to review and advise on consumer trends, new product initiatives and future design planning. Our work with this highly respected British manufacturer of bespoke kitchen extraction appliances has taken us all the way from a full-scale production audit - to final marketing literature. We are part of an on-going collaborative innovation process that has recently launched a unique recirculated-air product - "The 360". Fish&Co are a rare breed amongst giants, always delivering quality and exceeding expectations. They are there for me when I need to shoot the breeze on design theory and equally to present the value of design to an executive audience. We create the strategies and design solutions that allow our clients to innovate, engage their customers in new relevant ways and transform their brands into memorable experiences. We are relentlessly future focused, delivering inspiring, relevant solutions that put people first. The world around us is complex and constantly changing, and the effects of technology are transforming our lives in profound and unexpected ways. Tomorrow’s business leaders need to understand what the future means to them and why they must think differently to innovate. We work with our clients to help establish that vision and develop a strategic focus that sets them apart from their competition. Design-led innovation starts with understanding the unmet needs of consumers and the technologies and trends influencing their lives. It allows us to look beyond restrictive category thinking to identify new business opportunities. This means putting people first and building conceptual narratives around insights; creating meaningful, tangible solutions that are just better and more delightful to use. Future-proof brands are able to outpace market changes because they can reflect their customers' core values with their own; values which are greater than one individual product offering. We work closely with our clients to articulate these values and create the unifying design philosophies that link the brand promise, customer experience and every touch point in a consistent and seamless way. New challenges require new skills and a relevant approach that can help companies evolve faster in the face of change. We believe good design is a process that must solve genuine problems and connect with people on an emotional and functional level. Our creatively led, strategically driven approach means we can turn complex challenges into elegantly simple solutions for product and digital experiences. We believe that the most important aspect of creativity is the communication of the idea in an immediately understandable way. We bring our ideas to life by creating engaging digital tools, spirit films, digital and physical simulations; or whatever feels like the most relevant way to create believable and engaging experiences. We connect brand, product innovation and user experiences, to help companies integrate design thinking into their business strategies. Identifying and understanding real needs and growth opportunities, by analysing actionable consumer, product and market trends. Building a unifying and inspiring design philosophy, that connects the brand promise with the product experience. Looking beyond category and industry silos, to imagine compelling future scenarios, built around believable consumer narratives. Designing physical products, digital experiences and service concepts, that are engaging to use and built for business. Building the core brand proposition, personality and values, brought to life through identity, key assets and comms strategy. We are design and strategy consultants who work with organisations that want to re-imagine what comes next and help them shape the future of their business. Our studio is located in a historic Boatyard on the River Thames, West London. With great links into London and Heathrow Airport it’s an ideal space to be inspired (or just watch the world go by), come up with fresh ideas, facilitate creative workshops and host collaborative projects for our clients. Years of experience as directors of both global consultancy and corporate design give the founding partners great insight into the challenges companies face. We therefore focus on the constantly evolving behaviour of consumers; the fast-changing competitive landscape and the organisational barriers to innovation. This means we can bring a broader perspective and deeper understanding to our clients design and business thinking. That's why we focus on the constantly evolving behaviour of consumers, the fast-changing competitive landscape and the organisational barriers to (and the opportunities for) innovation. In this way we bring a broader perspective and deeper understanding to our clients' design challenges and business thinking. We are in the process of building a focused, talented team of designers, strategists and researchers. If you want to become part of something new and still forming - then get in touch!